Twelve-year-old Stanly knows the bone growing in his yard is a little weird, but that's okay, because now he'll have the perfect photo to submit to the Young Discoverer's Competition. With such a unique find, he's sure to win the grand prize. But, oddly, the bone doesn't appear in any photos. Even stranger, it seems to be growing into a full skeleton . . . one that only children can see. There's just one person who doesn't find any of this weird--Stanly's little sister. 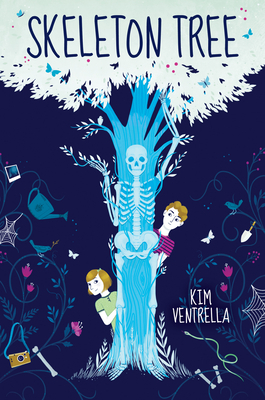 Mischievous Miren adopts the skeleton as a friend, and soon, the two become inseparable playmates. When Miren starts to grow sick, Stanly suspects that the skeleton is responsible and does everything in his power to drive the creature away. However, Miren is desperate not to lose her friend, forcing Stanly to question everything he's ever believed about life, love, and the mysterious forces that connect us.